Part-Indiana Jones, part-Sherlock Holmes, Nick Beasley is the best detective for denouncing false magic, until an encounter with a very real magical item causes him to change his mind… and his form. 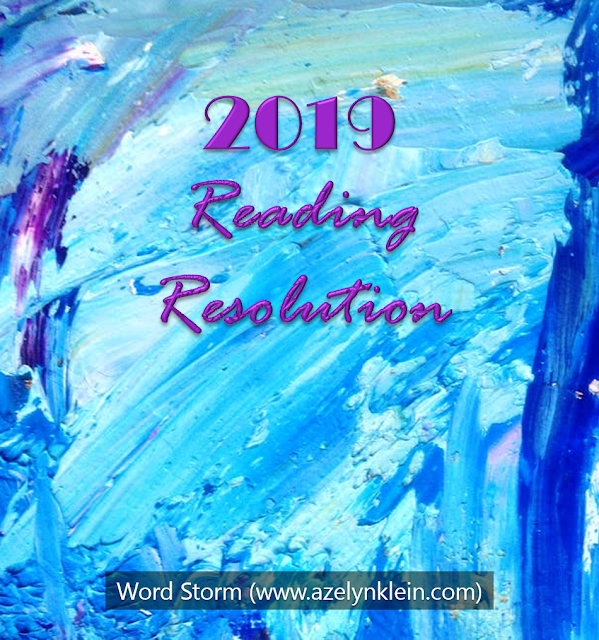 *Last year, I tried out a monthly post on Character Types, and it just wasn’t working for me. I ended up procrastinating such posts and avoiding them where I could. So instead of writing about content I don’t care for (though I still like characters! ), I thought I’d focus on something I’m excited to write, like book reviews! The Beast of Talesend, however, is not your average retelling. As the author put it in a recent interview, it’s more of a fairy tale inspired story rather than a direct retelling. After all, the events in this novel take place long after all the fairy tales themselves. This story in particular draws from Beauty and the Beast, Snow White, and several others. Not only is the cover aesthetically pleasing, but the story was an enjoyable read. The characters and the chapter titles are witty. I also like how developed and different the characters were. Cordelia is rather self-confident and driven while Nick is a skeptic with extensive knowledge about artifacts. In fact, his respect for artifacts like books and—even more—his determination to protect his brother make him incredibly likeable. My only complaint is that I wish the story were longer. There could have been more details, but then again, I’m drawn to long and wordy stories. Perhaps too much so. This book was much shorter than I had been expecting. At least there’s a sequel! That being said—the ending has me hooked! With some hints that the Jabberwock may make a later appearance, I am now seriously concerned for the rest of the characters. *shudders* I can’t wait to read the next book in the Beaumont & Beasley Series, The Tomb of the Sea Witch. 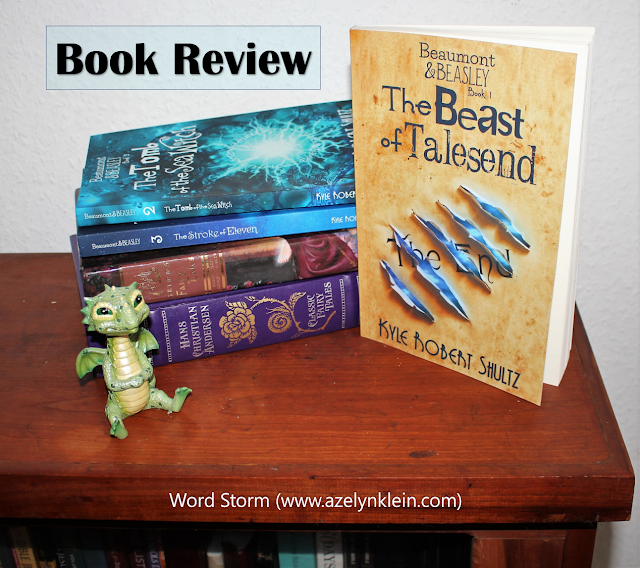 I gave The Beast of Talesend 4/5 stars for a great and creative plot and witty and well-developed characters. Reminiscent of The Tenth Kingdom, I would recommend this to readers who enjoy fantasy and fairy tales but don’t necessarily want to read the exact same story again. 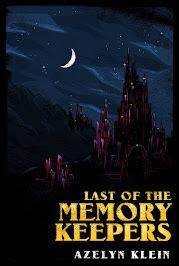 Does The Beast of Talesend spark your interest? Have you read it already? You might also enjoy these great books: Alice in Wonderland by Lewis Carroll, A Monster Calls by Patrick Ness, Where the Woods Grow Wild by Nate Philbrick, and This Savage Song by Victoria Schwab. Let’s chat! Has The Beast of Talesend made it to your to-be-read list yet? Anybody out there read it? 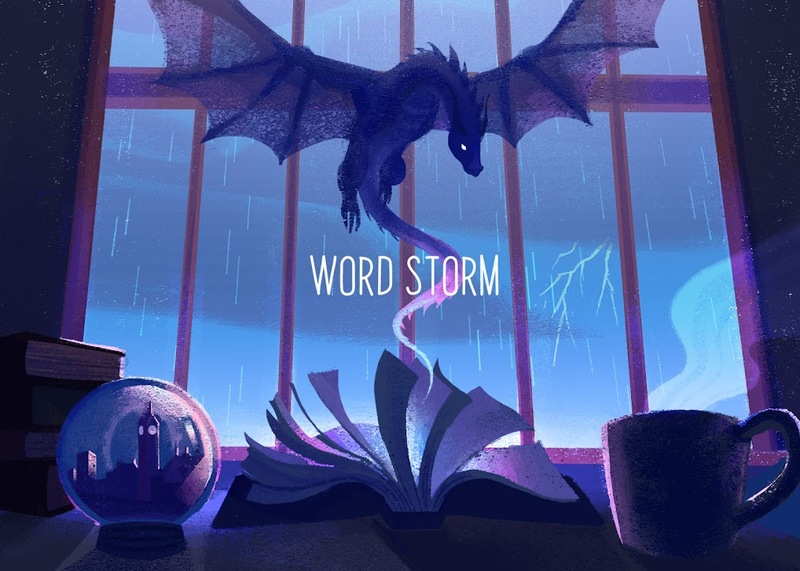 Have any fantastical book recommendations?